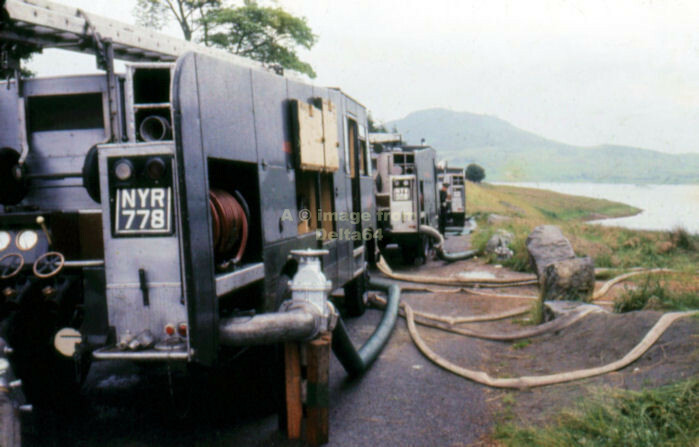 Pictures of Liverpool Auxiliary Fire Service vehicles have been added to this page when the exact station allocation has not been clear. 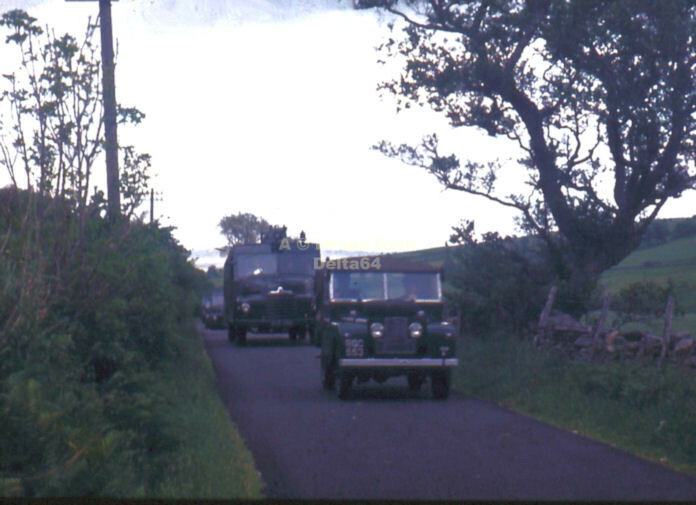 NYR770 led a convoy of appliances through North Wales in June 1965. 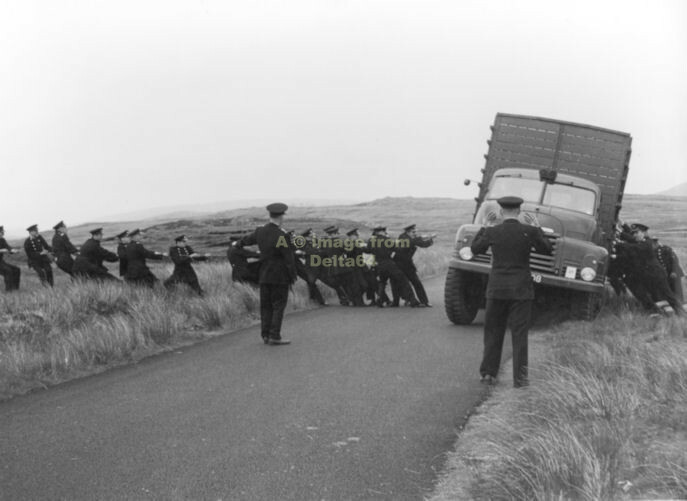 NYR778 was hard at work during the exercise over the weekend of 19/20 June 1965. 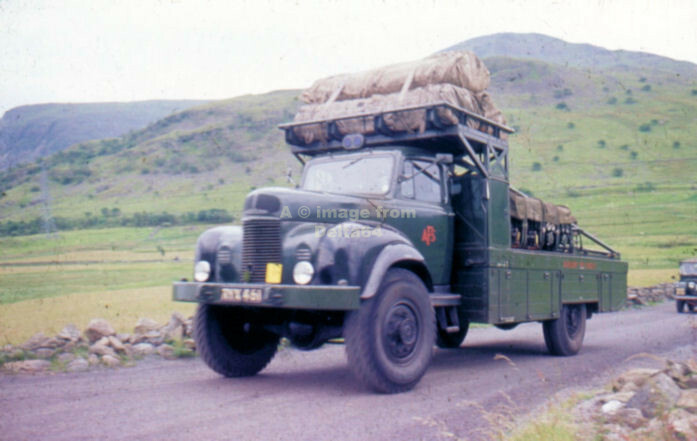 Hose Laying Lorry NYV624 presumably being towed of soft ground, June 1965. 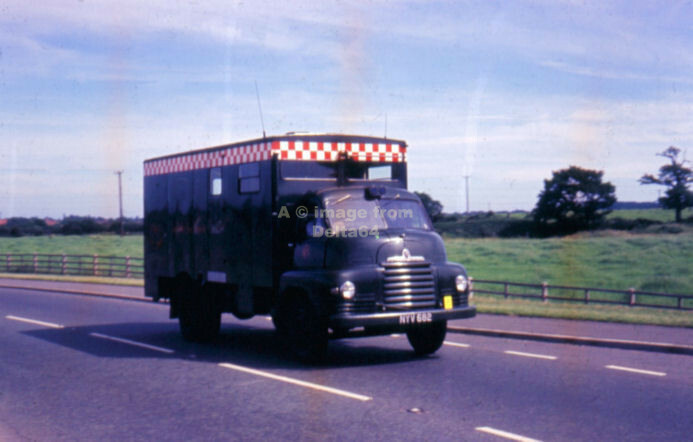 Control Unit NYV682 is believed to have been based in Liverpool, and was seen heading for North Wales in June 1965. 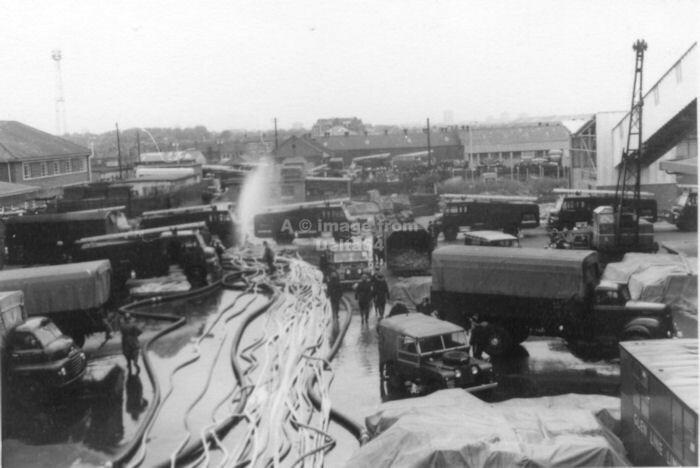 A sight very sadly never to be repeated when AFS appliances from across the country converged on London Docks for the Tercentenary of the Great Fire of London. 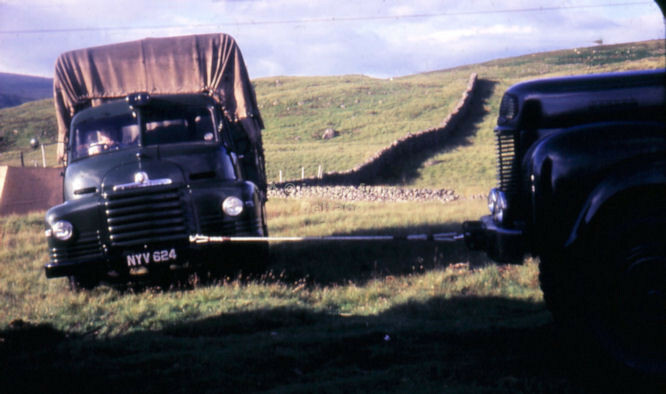 In the foreground, slightly off centre, was Land Rover RGC551 from Liverpool. 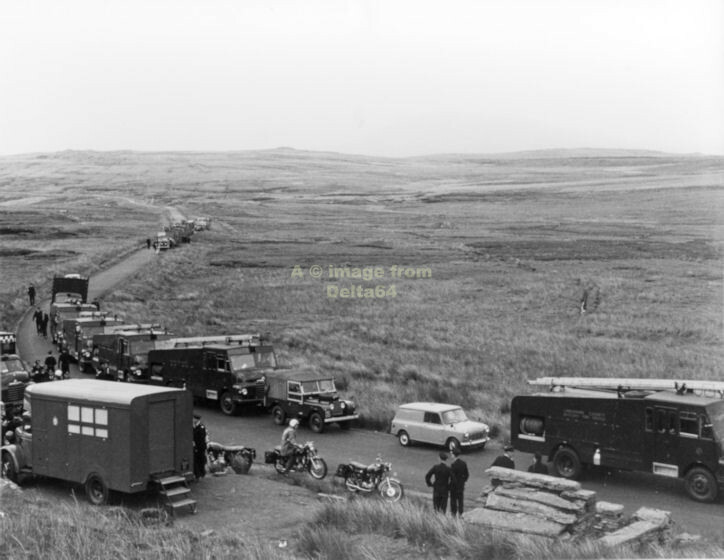 Land Rover RGC553 was seen in the above two pictures on exercise in North Wales in 1965. 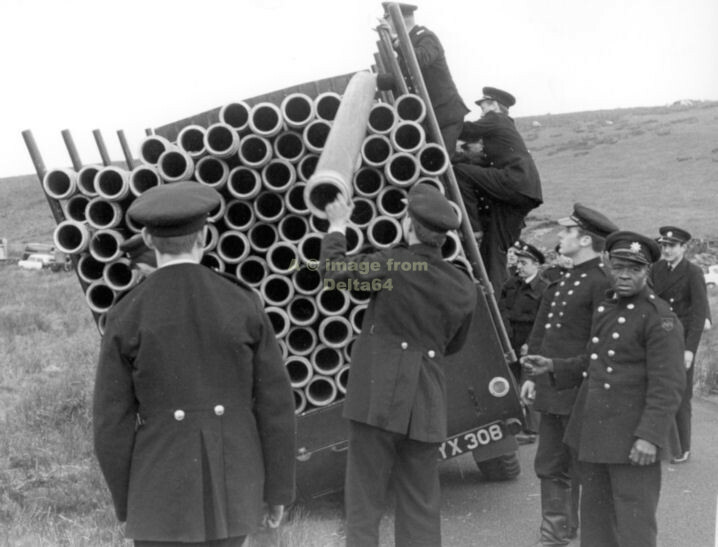 Pipe Carrier RYX308 was a victim of the soft ground in North Wales. 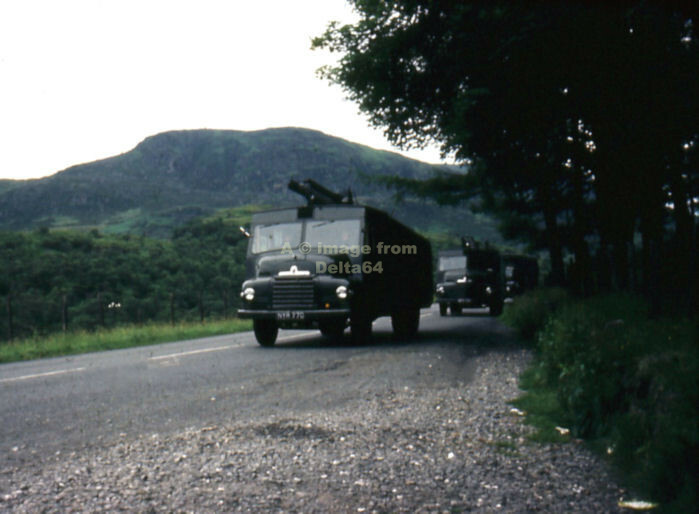 Bikini Unit RYX461, believed to be allocated to the Liverpool area was also seen in North Wales in June 1965. 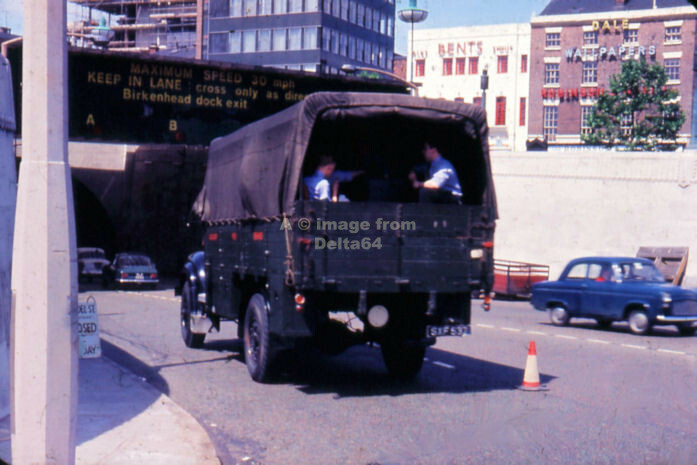 Personnel Carrier SXF537 was seen prior to entering the Mersey Tunnel, 19 June 1965. Note the information for the long closed Birkenhead Dock Exit.